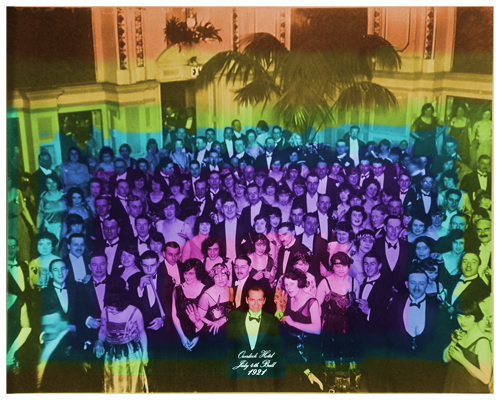 The final image from “The Shining”. 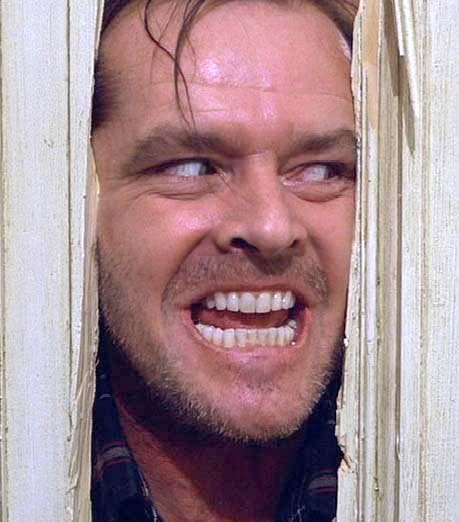 The Shining has been called a classic of modern horror. Everyone knows the tale of Jack Nicholson slowly and painfully going mad while spending an isolated winter with his wife and young son as caretakers of the Overlook Hotel. But the terror that unfolds is brought home to us in a more personal, visceral theme. The film, as others have noted, is basically the tale of a man who hates his family. And the lengths he is willing to go to rid himself of them. When you strip away all the trappings, that central theme is still haunting. I’m a huge fan of Stanley Kubrick. 2001 is a visual feast I never tire of. Clockwork Orange is at times horrific and mesmerizing. And The Shining is a beautiful case study on insanity. I watch the film at least once a year and have since it was released. Kubrick altered Stephen King’s novel considerably. Not just set pieces or plotting. Kubrick changed the entire tone of the piece. He threw in elements just to add to the layers of questions that make you wonder after each viewing. 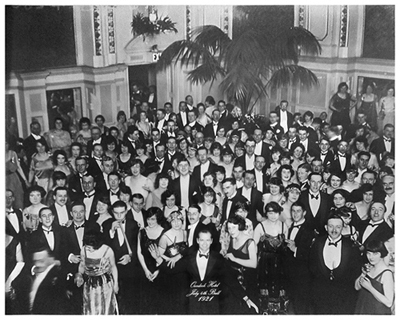 None more intriguing than the final, iconic image at the end of the film with Jack amidst fellow revelers at a July 4th Ball in 1921. That final image harkens back to Mr. Grady’s statement to Jack that he has always been the caretaker. I have recreated this image with a composite of screen shots from the HD version of the film. I have colorized each layer in the image at the left to show the various elements. As the film zoomed in on the final image, screen shots were taken to always get the best quality from each portion of the zoom. Each separate image was blended into the others to create a seamless, complete, hi-res image. I first tried printing the file to a true photograph, but the small details didn’t reproduce sharply. Plus, it’s nearly impossible these days to find a source that can produce true black and white photo prints. All digital photo printers produce prints on color paper with red, green and blue layers. So while the print may look grayscale when you receive it, over time one of the three color layers will fade faster than the other two and your print will take on a distinct, annoying color tint. So, the next avenue I explored was the world of offset printing. I found a vendor who could produce short run, hi-res printing with black ink only. So, these prints will not fade or discolor over time. The thick paper stock has a lustre finish. Here’s the final picture. They measure 8″ x 10″ and they include a 1/8″ white border. They are available for purchase through the Metropolis store at etsy.com. Just click the Etsy button below.